What is a Rug / Tapestry Wall Hanger? Find out and SAVE! If you have an antique fragile rug or tapestry that you would like showcase, Zoroufy makes beautiful tapestry wall hangers that can make that happen. It can be intimidating to browse all of their collections- so many lengths, finishes, and finials OH MY! But have no fear, Installerstore Blog is here! I will try to cover the basic information you’ll need to know before browsing and helpful walk through on all of the Zoroufy Tapestry / Rug Wall Hangers, so you can find exactly what you are looking for in your price range. Don’t forget about our April Zoroufy Sale! Call your order and save 10%! Think you’ve found your dream Tapestry Hanger? Click the photo of your favorite collection below, to view pricing on our site. 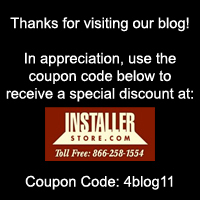 Don’t forget to call your order in with the Installerstore Coupon Code to receive 10% Off!!! Looking for solid cast floor registers or decorative stair rods? Or how about a beautiful wood baseboard register? The Zoroufy quality carries over into these products as well. Revamp your house – save 10% in the process.